hertel - your partner for sophisticated packaging design. hertel is not simply a producer of rigid and folding boxes, packaging and displays. hertel can do more! hertel – your full-service partner: We provide advice and develop packaging samples and mock-ups according to your specifications. 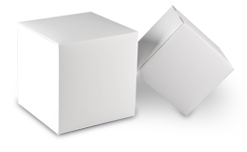 Our high level of vertical production enables us to print and produce folding boxes, covered rigid boxes, and displays. We can also assist you with vacuum-formed inserts and window packaging. In addition, we offer a diverse range of finishes to enhance your packaging further. These include dispersion varnishing, UV varnishing, foil lamination, hot foil stamping and blind embossing. Our high-performance packing service is a further plus point: We erect and fill boxes, pack goods and shrink wrap! Flexibly and rapidly. Save yourself the trek from manufacturer A to service provider B - we have what you need under one roof!